Butterflies make the world a little more colorful. Their vivid wing coloration and fluttering flight path lend a special touch of beauty to nature. However, butterflies do more than just paint a pretty picture. They help flowers pollinate, eat plenty of weedy plants and provide a food source for other animals. In addition, their presence or absence can tell us a lot about the local environment. Butterflies are not only beautiful creatures, but do a great deal for the environment. Like bees, they are plant pollinators, and they provide population control for a number of plant and even insect species by eating them. They also serve as sustenance for other species. Because they are so sensitive to changes in their ecosystems, scientists use butterfly population and behavior shifts as metrics for changes and problems in local environments. 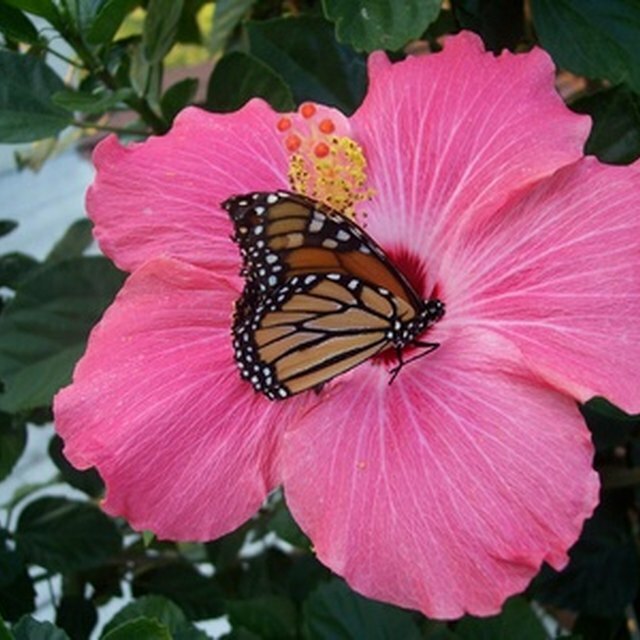 Adult butterflies drink nectar from blossoms on flowering plants. Butterflies use a long proboscis to reach deep into the bloom to get at the nectar. The proboscis, which is a part of their mouths, works like a long straw that butterflies curl into a spiral when not using. Like bees and other pollinators, butterflies pick up pollen while they sip a flower’s nectar. Once they’re off to another plant, the pollen goes with them, helping to pollinate the plant species. About one third of the food people eat depends on the work of pollinators such as butterflies. Butterflies in the larval, or caterpillar, stage consume the leaves of host plants. Caterpillars have chewing mouthpieces that allow them to eat through leaves quickly, using them as an energy source while the larvae grow. Some caterpillars eat flowers or seed pods as well. As a result, they may help plants lose leaves prior to autumn, or help keep certain plant species from propagating out of control. Butterflies are typically very specific as to the type of plant on which they feed. For example, during its caterpillar stage, the monarch butterfly only eats milkweed plants. Although adult butterflies typically do not prey on animals, at least one butterfly species - the harvester - helps keep aphid populations in check by eating them. Other adult butterfly species eat rotting fruit, carrion or animal excrement, thus ridding the environment of waste. 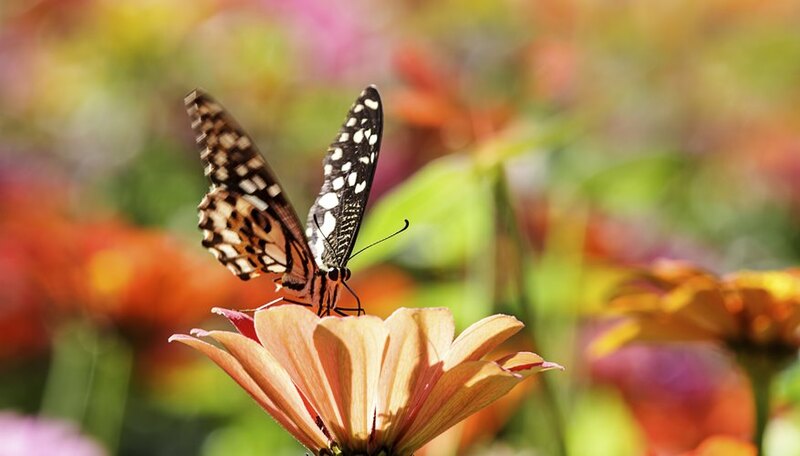 During any stage of their life cycle, butterflies provide a food source for other animals. Birds, spiders, lizards, small mammals and even other insects are all butterfly predators. Birds are fond of butterfly caterpillars because they move slowly and are easy to catch. A butterfly chrysalis - the final larval stage before the adult butterfly emerges - is vulnerable because it is anchored to rocks, plants or other structures. Adult butterflies typically only live from a few weeks to about a month, as a result of both a naturally short life span and predation. Scientists use the presence or absence of butterflies as a predictor of whether an ecosystem is healthy. Adult and larval forms are sensitive to pesticides. Changes in climate will impact butterflies because temperature changes and rainfall amounts may alter migration patterns and timing. Loss or fragmentation of habitat - for example, losing chunks of cover as a result of construction or defoliation - increases predation and also affects migration. Ecologists study butterfly behavior, population numbers and migration patterns to help determine the impact of these environmental issues. Korpella, Robert. "What do Butterflies do for the Environment?" Sciencing, https://sciencing.com/what-do-butterflies-do-environment-4580181.html. 23 April 2018. What Are the Characteristics of Grasshoppers?